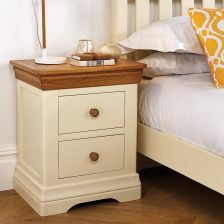 These French Farmhouse styles of oak bedside tables are hand made exclusively for Top Furniture in this popular French inspired design. 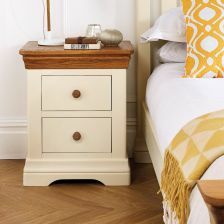 These bedside tables are manufactured with a sustainable American Oak top and aredelivered fully assembled and ready to use. 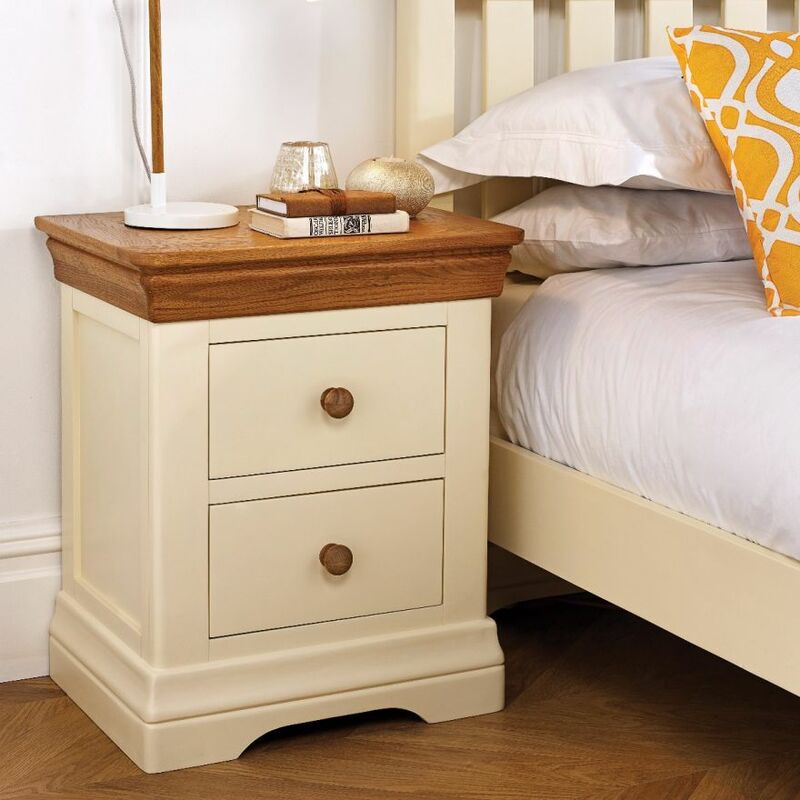 These bedside tables are finished beautify with a hard wearing cream painted finish which is sure to a great focal point of any bedroom. 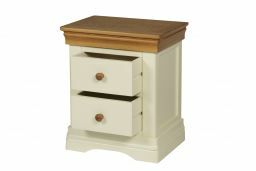 This chest of drawers offers great storage space for items of clothing and other household items such as books. Lovely items, sturdy and they look fab. It is a quality piece of furniture and I thought it was so nice I bought another one. A lovely piece of furniture very pleased it compliments the rest of the furniture. Visually stunning.It fits beautifully with the other pieces we have bought.It is quite suitable. Service and quality of the bedside cabinets excellent. Very pleased with them . Very chunky and well finished , looks very good. These are good quality and size. Looks good and matches Chest of Drawers perfectly. The furniture is very good quality and I am very pleased with my purchase. Would definitely recommend this company to others. Love my new bedside tables! Stylish, roomy and best of all - no self assembly required! 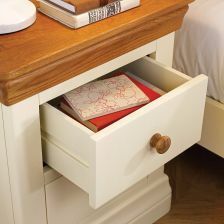 I bought 2 of these, great price & quality, perfect sized drawers! I have ordered 2 of these side tables. Extremely happy with my purchase. Very high quality product. No scartch marks, delivered on time. Nice finish and sturdy. I am definitely going to buy again from top furniture. Very pleased with the product, Arrived as scheduled and well packed for protection. Overall excellent service. Arrived as scheduled and really well packaged. Pleased with the product, be aware the colour is quite creamy but that is what I expected. Overall excellent service. The ordering was simple. Customer service were very helpful with questions and gave me answers straight away. Delivery was exactly the date and time stated. No damage to any of the furniture. I ordered 9 pieces. Quality of the finish excellent. Extremely nice furniture that makes a house a home. Brilliant. Impressed with the standard of the finish and the overall quality of the product. Delivered promptly this morning by two friendly guys. This is the first time I have ordered furniture on line without having examined it in a shop. From the enquiry about the sizes to the delivery, the service has been excellent. 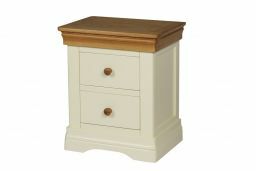 The prices were more than competative and the two bedside cabinets exceeded my expectations. I certainly would order furniture from them again. Great quality and looks amazing. Delivery was quick and would have been quicker had I not been away and had to reschedule. Very good service. 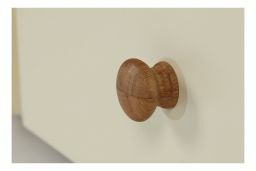 I was able to purchase 2 bedside cabinets at the showroom. Very pleased with the price. Absolutely the best product, no doubt. my order over £5000 and every single item is of best quality, delivery people were fantastic.i am ordering more stuff now and many thanks. 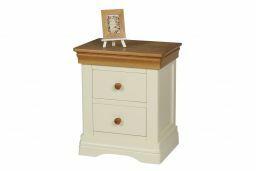 This bedside table is brilliant looks great and such good quality. Arrived already assembled! Perfect for my bedroom! The furniture was delivered on time and securely packaged. It was exactly as described in the advertisement and seems to be solidly built. It was pleasing to receive it ready assembled as I cannot manage flat pack! Overall I am pleased with my purchase. Arrived within the time frame stated. Very pleased with bedside tables, better than in the photo. Have already purchased the linen box very pleased with that. Cannot send you a photo as I am waiting to move house. Just what I was looking for. Collected it from the Uttoxeter showroom. Disappointed no discount from listed price even though I saved the company the delivery hassle, otherwise would have been a 5- star review. We loved the side tables. It gives a very nice and traditional touch to our bedroom. And a special mention to the customer services and support team extremely efficient and friendly would recommend buying from top furniture. Solid piece of furniture. Looks great. Delivered well packed. We purchased this to go with the rest of our recent purchase. Again excellent service and delivery of quality goods. Very happy and would recommend to everyone. Fantastic product, looks brilliant. Bought alongside double wardrobes and a tall set of drawers. All immaculate and delivered on time too. Excellent quality and value for money. So good I immediately ordered more pieces. A really good product that looks fantastic in our bedroom. Nice quality wood and good finish. Came ready assembled which took away a lot of hassle. If they could improve the mechanics of the drawer, it would be perfect. The drawers are currently a bit clunky. Good looking , good finish, right height, lovely oak top. Highly recommend. Delivery service excellent and communication top class. Really good company to deal with. Thank you. Excellent quality, great customer service and well packed for delivery. Would recommend. Excellent quality and very competitive value for money. Very well packaged for delivery. Easy ordering online and great customer service !! Needed to tidy up a bedroom urgently due to unexpected (posh) visitors. Ordered two bedside cabinets over the phone via express delivery. 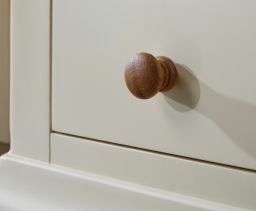 Sure enough, arrived ontime and the quality of the cabinets is excellent, clean and modern lines yet continuing with tradition. Came very well packaged and couriers very helpful. Very reasonably priced and have now decided to continue the bedroom upgrade with a new bed and wardrobes in the next few weeks. The dogs b*******. Very. 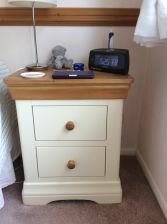 pleased with our purchase ,we were phoned and told what time our bedside tables would be delivered and they delivered on time . Tables look good excellent value for money & service was very good keeping us informed of delivery date & time. Highly recommend your company & will use again. Very good quality and delivered very quickly. Very pleased with bedside cabinets. Excellent ordering procedure and delivery. Will definitely order again from you. 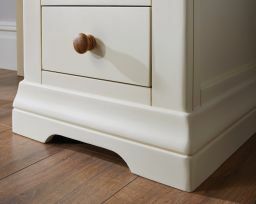 Very well made quality furniture, the bedside chests are in perfect condition, we are very happy, we will be buying the rest of our furniture from here, thank you. Great quality at an affordable price. Looking forward to buying the matching dressing table! Such good value for a quality piece of furniture. Thank-you to Michelle for such good service on delivery. Very pleased with the quality, and it was cheaper than similar looking pieces on other websites. Love them, solid and well made. Well worth the money.